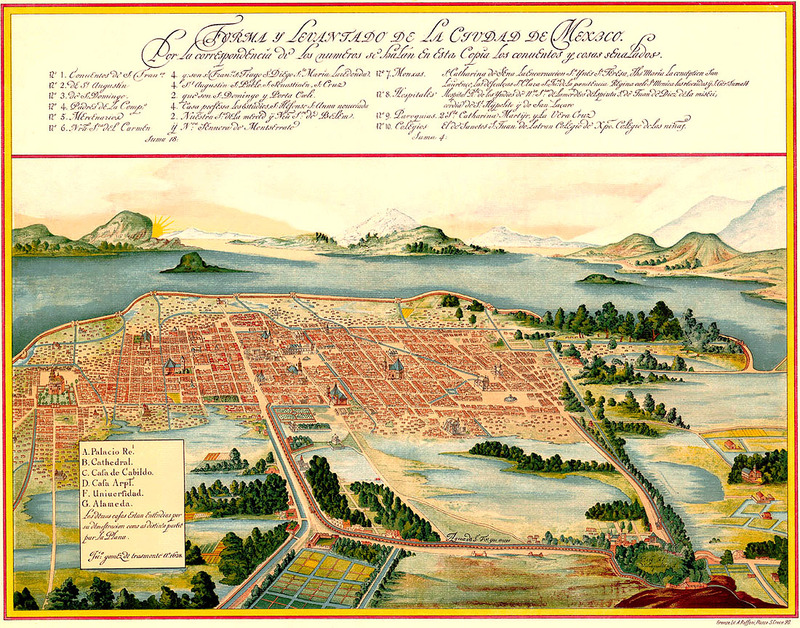 For some reason I found this week that image of Mexico city in 1628, drawn by Juan Gómez de Trasmonte and conserved at the Archivo General de Indias. A century after the conquest the city is still surrounded by lakes, and the structure of city blocks is apparent. 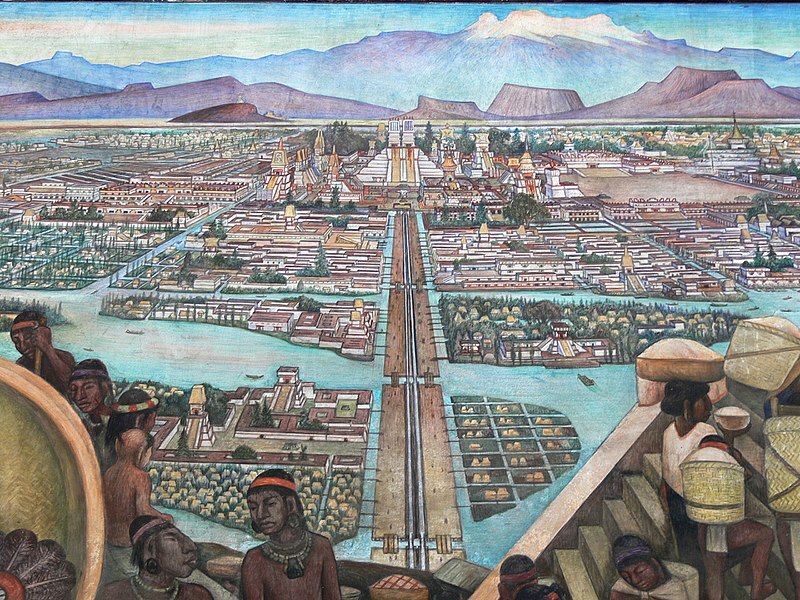 I also found that image of a mural by Diego Rivera (XXth century), representing the pre-hispanic city. Sure that is not a historical city, but I like the image. I love the workmanship in these. Useful and beautiful. Dan Antion sent me here. I am writing some posts on Maps, Mapping, and anywhere those topics take, including my love of vintage maps and assorted documents. I enjoyed seeing these maps very much and remembering my own journey to Mexico City many years ago.